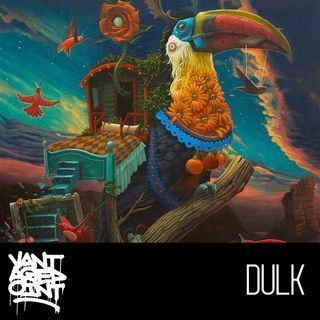 Dulk is one of the hottest artists on the mural scene these days and seems to be part of more projects than one man should be able to handle. His incredibly detailed murals and studio works are based on the animal world but have a mystical air to them that challenges reality. His murals focuses on animals native to the places he paints and mix brushwork with spray paint in a way that seems to give him a larger range of colors then the rest of us. Based in Valencia Spain, the work he creates ... See More in his studio, just two blocks form the ocean, is no less impressive. Whether sculpture or canvas work, the clean and precise images are full of color and fantasy. We were very excited to sit down with Dulk during Pow Wow Hawaii to discuss all of it.